For five years the troika of Greece’s official lenders (the International Monetary Fund, the European Central Bank and the European Commission representing creditor member-states) were committed to this dead-end strategy that financiers label ‘extend-and-pretend’; that is, lending to an insolvent debtor more and more money in order to avoid having to write off a bad debt. The more creditors insisted on this strategy the greater the damage on Greece’s social economy, the less reformable Greece became, and the larger the creditors’ loses. Year after year, the IMF and the Commission would issue hyperbolic prognoses of imminent recovery, even to the extent of pre-announcing ‘Greek-covery’ in 2013. They were, of course, clutching at straws. For instance, in 2014, creditors and a compliant Greek government rejoiced at the fact that real GDP rose a little for the first time in seven years. Closer inspection, however, confirmed that the reported ‘turnaround’ was a statistical mirage; that what had really happened was that GDP, as measured in market prices (i.e. nominal GDP), continued to fall by 1.1% but, at the same time, average prices were falling even faster by 1.8%. So, what was essentially a clear sign of a deepening depression, with both incomes and prices falling, appeared confusingly as a boost in real GDP (which is the ratio of nominal GDP growth and the rate of inflation; a ratio that becomes positive in terrible circumstances when both the numerator and the denominator are… negative)! This is why our party of the radical left, SYRIZA, won last January’s election. Had the electorate believed that Greece was on the mend, we would not have won. Our mandate was straightforward: To stop the ‘extend-and-pretend’ loans, and the associated austerity, which were driving Greece’s private sector into the ground. And to lift the fog of doom in which it was impossible to carry the people with us along the road toward the crucial, deep reforms that Greek society needed. In my first Eurogroup meeting I delivered a simple message to the gathered Eurozone finance ministers: “In our government you will find a trustworthy partner. Over in Athens, Tsipras is answering questions in parliament about the parallel payment system set up in the event of “Grexit”. He has denied that his government had a “secret plan” to take Greece out of the euro. This week Varoufakis caused outrage in Greece when he admitted he had made secret preparations to hack into citizens’ tax codes to create a parallel payment system in case Greece was forced to leave the euro. Tsipras: if we had a secret plan with Varoufakis then why didn't we implement it? Why didn't we go for a Grexit with 62% of No? Chinese shares have had their worst month in six years, despite unprecedented steps by Beijing to stem the rout. China’s securities watchdog said on Friday it is investigating the impact of automated trading on share markets, as authorities step up their clampdown on what they regard as speculative selling. The Shanghai Composite Index lost 1.1% to end the month at 3664 points. It fell 10% this week, and lost 14.3% in July, its biggest monthly loss since August 2009. The CSI300 index was virtually unchanged on the day at 3816.7. After more than doubling over the past year, China’s stock markets started to slide in mid-June, and have slumped about 30%. But they are still up 13% so far this year. Erdogan and the AKP is resuming the war against the Kurds in order to take back control of parliament, and it will make a messy situation even messier and not help defeat ISIS, says Patrick Cockburn, author of "The Rise of the Islamic State"
Slater boasts of his wrongdoing but he is never touched by the police while they raid Nicky Hager's home. The police are Key's puppets. That leaves the judiciary as the only area under question - the only thing between us and a fully-fledged fascist state. Not so Dirty Politics after all. That's the message from police over a blogger accessing Labour Party computer systems to gather financial and membership details. The country's most senior detective Rodney Drew today told the Labour Party that "there is no evidence of criminal offending". "While the matter may raise privacy and ethical issues, these are not the domain of criminal law." 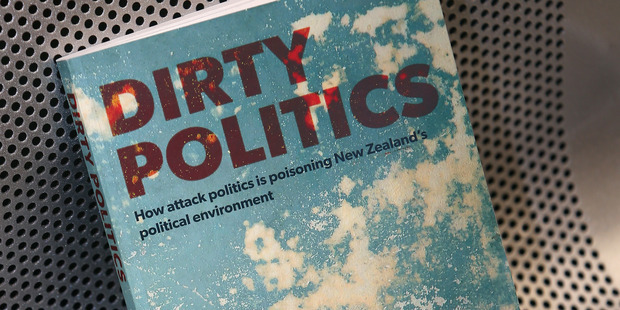 It's almost a year since details of the 2011 intrusion were described by journalist Nicky Hager in the controversial pre-election book Dirty Politics. The details revealed in the book led to the Labour Party complaining it had been hacked, among other claims. The other matters were dismissed by police last year. The reason, in a letter from Mr Drew, was that the "only evidence being relied on was contents of Mr Hagar's (sic) book and the entities and persons named did not want to pursue any action". The letter from Mr Drew spelled Mr Hager's name wrong and the name of the Labour Party general secretary Tim Barnett. Mr Barnett - "Barnnet", according to police - said the police conclusions were "unbelievable". He said the party was considering further action. He said compared to the effort being put into investigating Slater did not compare to the energy put into investigating Hager. "I would expect to see a level of energy from the police that was equitable and we certainly haven't seen that in the treatment of us." Two government inquiries into matters raised in Dirty Politics found evidence given by Slater could not be relied on - and that he had overstated his contacts and influence. Hager is awaiting a High Court judgment on whether he can claim journalistic source protection in relation to the anonymous individual known as Rawshark who claimed to have hacked material from Slater's computer system. It followed a complaint by Slater and a police raid on Hager's house searching for information leading to the hacker's identity. Police had previously dismissed a complaint by Matthew Blomfield that Slater had illegally accessed a computer hard drive to get emails and personal information used for blogposts. Blomfield has since taken defamation action against Slater over the posts. Ongoing fallout from Dirty Politics saw The Standard website recently lay a complaint with police alleging Slater had attempted to hire a hacker to access the left-wing blog. Slater, who has denied any wrongdoing, said he would be seeking an apology from Andrew Little over the accusations. The International Monetary Fund (IMF) has determined it cannot offer funding toward a third bailout for Greece, citing astronomical levels of debt and a poor record of government follow-through on reforms. The evaluation, reported by Financial Times on Thursday, throws the Europewide political effort to save financially troubled Greece into doubt. Influential German officials have made clear that no bailout would be possible without IMF participation. Without a bailout, Greece faces the prospect of having to exit the eurozone, a prospect that commentators have called the Grexit. While the IMF will continue to participate in bailout talks currently taking place in Athens, Greece, it will be months before the lender will be able to agree to a new program. IMF bylaws stipulate that the institution cannot make loans when the country receiving them lacks the capacity to make reforms or can't sustain its debt. According to documents obtained by Financial Times, IMF determined that Greece failed to meet either of those expectations. A previous IMF paper called Greece's debt "highly unsustainable." 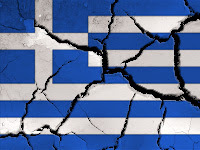 In order to receive its third bailout in five years, this time projected at around $94 billion, Greece would need approval from the three institutions that make up the so-called troika: the European Union's governing body, the European Central Bank and the IMF. IMF chief Christine Lagarde has previously made clear that no deal is possible without deep debt relief, potentially in the form of a write-down of Greece's liabilities. That stance clashes with that of Germany, the largest economic power in the eurozone, whose finance minister Wolfgang Schäuble has consistently demanded that Greece's overall debt remain intact. But as Greece's former finance minister Yanis Varoufakis has said, the IMF and Schäuble may indeed share a common view: "They don’t want this deal to go ahead." Still, negotiators face a hard Aug. 20 deadline to hammer out some form of financing that will keep Greek banks and businesses open until the country can make an economic turnaround. In late June, the European Central Bank capped its financing to Greece, forcing Athens to close its central bank and sending the country's economy into a tailspin. The political situation in Greece, meanwhile, offers scant comfort to creditors. Prime Minister Alexis Tsipras faces internal opposition within his left-wing Syriza party, which came to power in January on an anti-austerity platform. After six months of brinksmanship and political provocation, Tsipras accepted austerity-inducing reforms earlier this month, leading to a raft of resignations from the radical wing of the party. That instability, together with the sheer size of Greece's existing debt, has made IMF member states wary of launching into another bailout. According to the board meeting minutes acquired by Financial Times, non-European board members stressed the need for Lagarde to "protect the reputation of the Fund." … reports Peter Spiegel from Brussels in today’s Financial Times. He adds:“Some Greek officials suspect the IMF and Wolfgang Schäuble, the hardline German finance minister, are determined to scupper a Greek rescue despite this month’s agreement to move forward with a third bailout. In a private teleconference made public this week, Yanis Varoufakis, the former finance minister, said he feared the Greek government would pass new rounds of economic reforms only for the IMF to pull the plug on the programme later this year. The key issue, of course, is not so much whether the IMF will be part of the deal – a typical fudge could, for instance, be concocted with the IMF providing ‘technical assistance’ to an ESM-only program. The issue is whether the promised debt relief which, astonishingly will be discussed only after the new loan agreement is signed and sealed, will prove adequate – assuming it is granted at all. Or whether, as I very much fear, the debt relief will be too little while the austerity involved proves catastrophically large. How Yats has changed his spots! "Well, these people shouldn't come here"